Viknesh Vijayenthiran April 15, 2019 Comment Now! 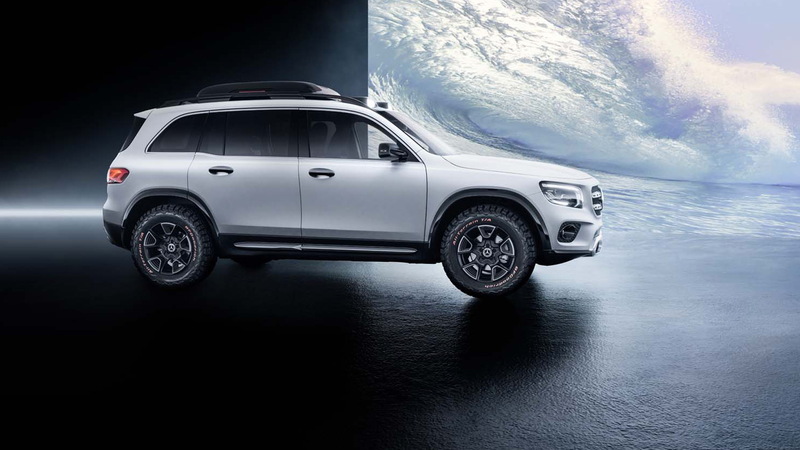 The Concept GLB features a boxy design that conjures up an image of toughness, and at 182 inches in length the vehicle is also relatively large for a compact—Mercedes boasts there's enough room for seven. Sadly, though, the concept, and likely the production model as well judging by spy shots, isn't the mini G-Class we were all hoping for. Inside, the seven seats are lined in leather with a chestnut brown finish while orange accents dot the rest of the cabin. The dash layout will be familiar to anyone who has sat in one of Mercedes' latest compacts, though there are unique elements like the open-pore wood trim and metal accents that extend to the custom grab-handles. Although the choice of materials and some of the features will likely skip the production model, the general layout should be what we see in showrooms. 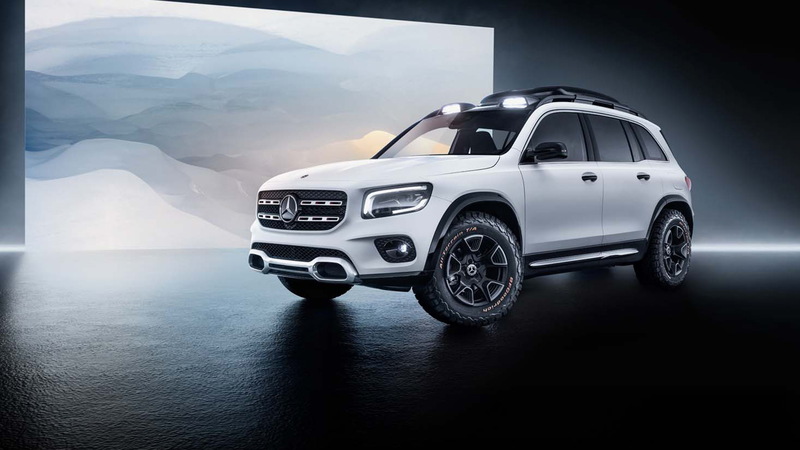 Mercedes hasn't said when the GLB will start sales but the vehicle is currently expected in showrooms later this year as a 2020 model. Production for North America will most likely take place at a plant in Aguascalientes, Mexico, where Mercedes is already building the related A-Class sedan. 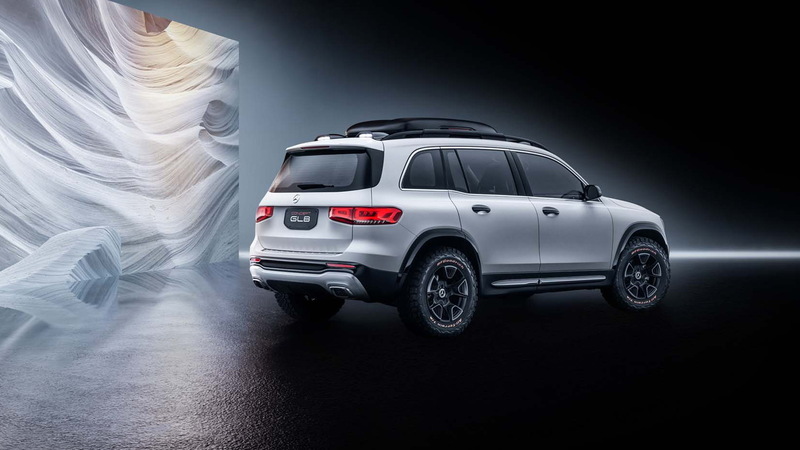 Underpinning the GLB will be the same MFA2 front-wheel-drive platform found in the A-Class sedan and the base powertrain, as previewed in the concept, should be a 2.0-liter turbocharged inline-4 with 224 horsepower and 258 pound-feet of torque. 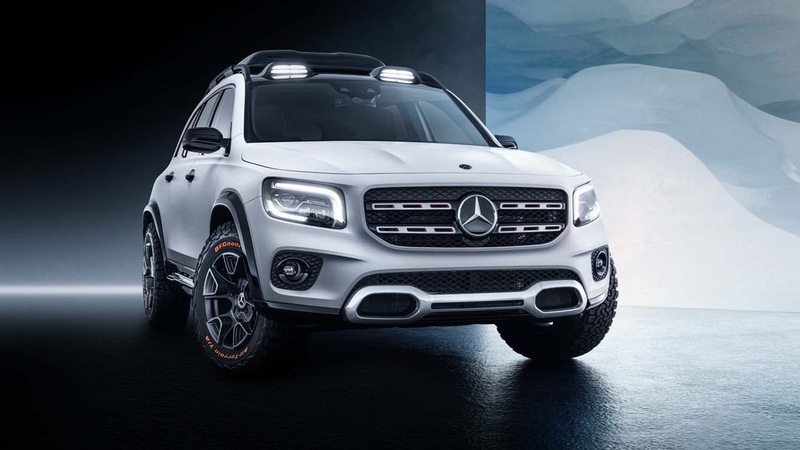 A more powerful GLB35 from Mercedes-AMG is planned, and possibly a high-performance GLB45 as well. Plug-in hybrid and electric options are also likely in the pipeline, with the latter to also come with a unique body style and an EQB designation. Naturally, an all-wheel-drive system will feature in the GLB. It will send most of the drive torque to the front wheels during normal driving for greater efficiency but this can vary. 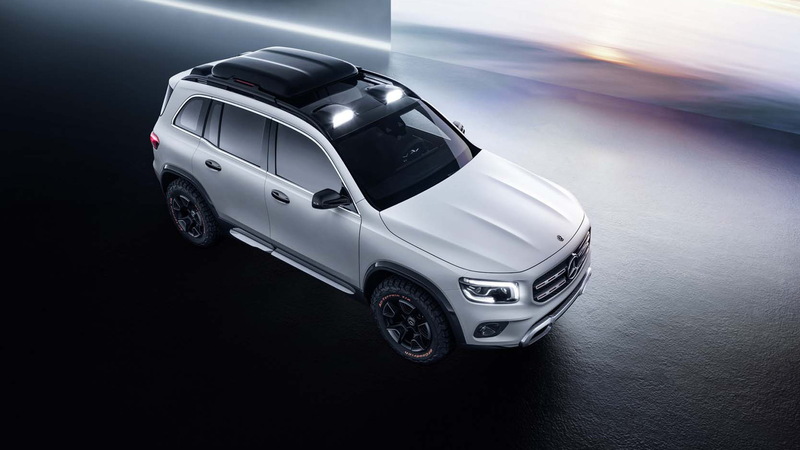 In the GLB concept, the all-wheel-drive system splits torque 80:20 front-to-rear in normal conditions but can switch to a 50:50 split when necessary, such as when off-roading. Compact cars have proven to big business for Mercedes. Buyers snapped up 609,000 examples of Mercedes' compacts in 2018, which accounted for 25 percent of the automaker's sales, and the number this year is likely to be even higher due to the arrival of a redesigned range. No surprise that Mercedes is expanding its compact lineup with new additions like the GLB and aforementioned A-Class sedan.